Bonanza is the flagship of the Big Time Gaming slot library. It may sound like an average slot with a colorful interface, no particular theme and bell sounds when the player hits a win, but Bonanza is so much more than that. It features an unusual theme - mining. Not the type of modern, filthy industry mining, but rather the fantasy activity of jewel mining which makes much more sense. The reels are surrounded by rocks, bushes and flowers and you can see a small miners’ shed by the grid. The symbols include all kinds of jewels and gems. The diamond pays the most, followed by a ruby, a sapphire and an emerald. Regular playing card denominations 9, 10, J, Q, K and A make up the lower values. Okay, so the symbols aren’t as brilliant as they might have been, but the structure of the game is what really sets it apart from the rest of the trending slot titles. The full title of Bonanza is actually Bonanza: Megaways. This means that Bonanza includes the original Megaways game engine and offers an amazing 117,649 ways to win instead of regular paying lines. 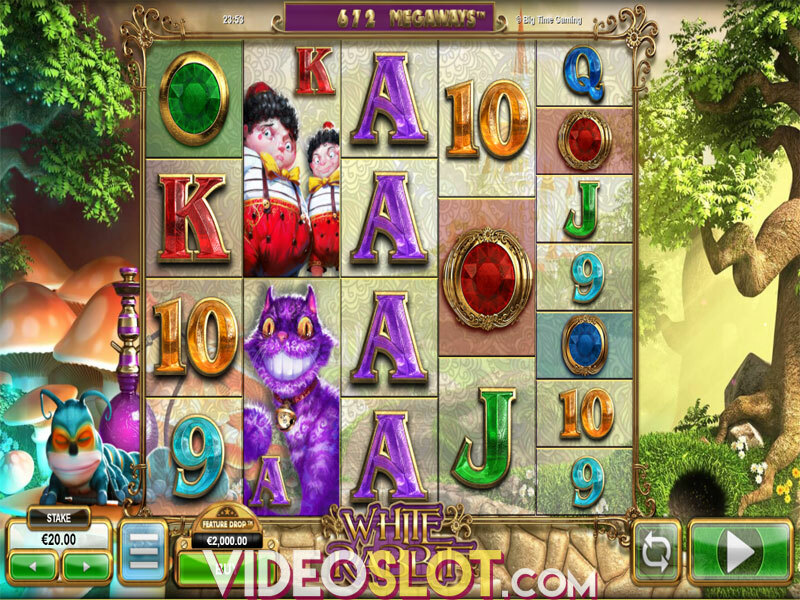 The slot includes only 6 reels, which makes the number of winning possibilities truly striking. You will see the reels spinning underground and a mine cart just above them, adding an extra symbol to reels 2, 3, 4 and 5 on each spin. The Wild is a bundle of dynamite sticks that will blow up your bankroll, and there are multiple Scatter icons. Interestingly, they are letters ‘G’, ‘O’, ‘L’ and ‘D’. Obviously, when you line them up they spell Gold. Each time that you achieve a winning combo, the symbols involved will disappear to be replaced by more falling in from above - just like ruble down a mine wall. This feature is known as Tumbling Reels with some other software providers, but Big Time Gaming calls it the Reactions Feature. Once new symbols descend they can form more winning combos. As soon as the wins stop, a new spin can be initiated. Wait for the Scatters to line up and trigger the Free Spins feature - you will then receive 12 bonus spins at the stake you’ve set on the triggering spin. Each Scatter that lands during freebies will add 5 extra spins. The Reactions Feature remains active during free spins, and becomes attached to a win multiplier. Each successive reaction will increase the win multiplier. The best part - the multiplier has no upper limit! You can stack up carts and carts loaded with golden treasures! Bonanza is a high volatility joy-ride with some downsides, but mostly an enjoyable, profitable video slot. Big Time Gaming offers something different from the standard pattern of 5 reels and 20 win lines you see 80% of the time at online casinos. With Bonanza, you can experience thrill and excitement on an innovative game engine and enjoy a reasonably high RTP. The graphics and animations are superb, but the high variance is not for everyone. Bonanza is a slot for gamers who like to chase big payouts and can live through a dry spell - or two.